France’s Aigle Azur airline will launch the direct air line between the Paris-Orly and Kyiv-Boryspil airports from April 18, 2019, the airline has said in a press release. The airline said that the launch of this Paris-Kyiv link joins the other lines already operated in Europe by Aigle Azur. 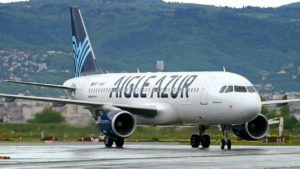 This new route will offer among other things connection facilities for Aigle Azur passengers (and its airline partners), especially those from Brazil, Portugal, and Algeria. Aigle Azur based in the Orly airport is France’s airline servicing regular and charter flights in Europe and North Africa. Latvia’s airBaltic will launch direct regular flights on the Riga-Lviv-Riga route from April 1, 2019. Accordig to the booking system, airBaltic will operate flights between Riga and Lviv four times weekly: on Mondays, Wednesdays, Fridays and Saturdays from Riga and on Tuesdays, Thursdays, Satrudays and Sundays from Lviv. The round trip ticket prices start from EUR 130.
airBaltic also flies to Kyiv and Odesa. 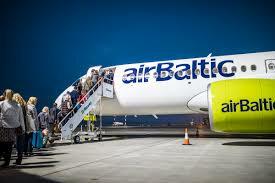 airBaltic connects the Baltic region with 70 destinations in Europe, the Middle East, and the CIS. The state of Latvia owns 80.05% of the airline, and Aircraft Leasing 1 holds 20%. 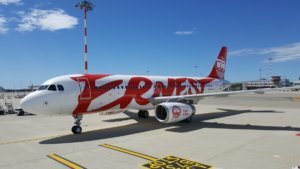 Ernest Airlines (Italy) plans in March 2019 to begin regular flights from Kyiv Sikorsky Airport (Zhuliany) to Genoa (Italy), the press service of the airport has reported. 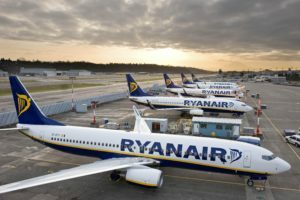 According to a press release, this decision was announced by the regional manager of the airline during the opening of Kyiv-Rome and Kyiv-Milan (Malpensa) flights on October 19. Earlier, Kharkiv International Airport announced the opening of regular flights of Ernest Airlines to Rome and Milan from March 21, 2019. At the moment, the airline’s website has a timetable until the end of March 2019, in which flights from Ukraine to Milan, Rome and Naples are made from Kyiv and Lviv airports, as well as Kyiv-Bologna and Lviv-Venice destinations. Ernest Airlines is an Italian airline headquartered in Milan. The main operations center of the company is located in Tirana (Albania). The airline is a low cost carrier. It serves Italian and Albanian markets. 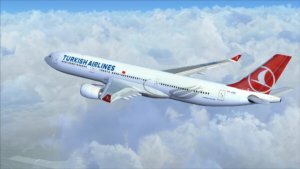 Currently, the airline’s fleet includes two Airbus-319 and Airbus-320 aircraft, but it is planned to replenish it with two more Airbus-320 aircraft by the end of this year.